Here we are again looking forward to another year filled with family vacations and weekend getaways. It’s always so exciting when the time comes to start the packing process (well, maybe not the laundry part..). One thing I’ve always skimped on was luggage. I mean, a bag is a bag, or so I thought. I discovered DELSEY last year while searching for a gift for my husband. He travels a lot for work and has gone through so. many. bags. He’s pretty rough on his things and was well over due for a new piece of luggage. When his piece came in I checked it over and made sure it was something that would work for him. Needless to say I was thrilled with the quality and look of his carry on (find it HERE) and immediately wanted one for myself. Fast forward a year and Michelle and I both now own two of these gorgeous bags and fall more in love with each one we receive! 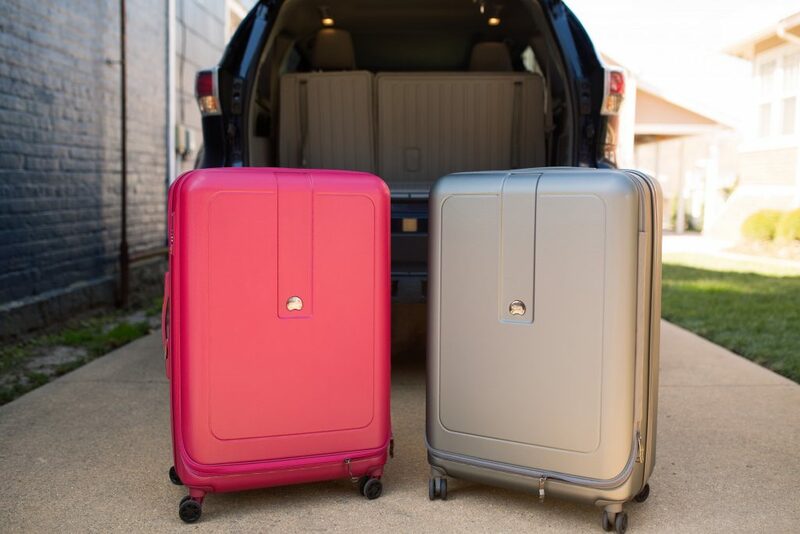 We both have the Chatelet Plus 21″ Carry On (linked HERE) for smaller trips but decided this time around we would both need a larger size, so we opted for the Helium Shadow 4.0. With growing families and week-long trips the 29″ Spinner is the perfect size. When they arrived I was pleasantly surprised with how lightweight they were. And the wheels glide sooo smoothly, which is a major plus when traveling with kids – there’s no time, or patience, to fuss with faulty luggage. It made me realize quickly that I had done myself a huge disservice in my previous travels by not having a quality bag… you live and you learn, right? What sets this bag apart is the handle. Yep, that’s right, the handle. As you see in the picture above it came with a sticker that reads, ‘Avoid Overweight Charges’ – Are you kidding me?! This bag weighs itself! I think that’s my hubby’s favorite part (because somehow I’m always that person digging through my bag trying to “rearrange” things to get the weight down..) haha. Now it’s a no brainer – the digital screen on the handle lights up if you’re over the allowed weight limit. Each of the bags I have are expandable and I love the way this particular bag opens. If you look closely the zipper is located closer to one side, so no more sandwiching your clothes together – which makes it SO much easier when packing! There are three zippered compartments inside the bag as well as straps that clip to keep your things in place. They have really thought of everything! 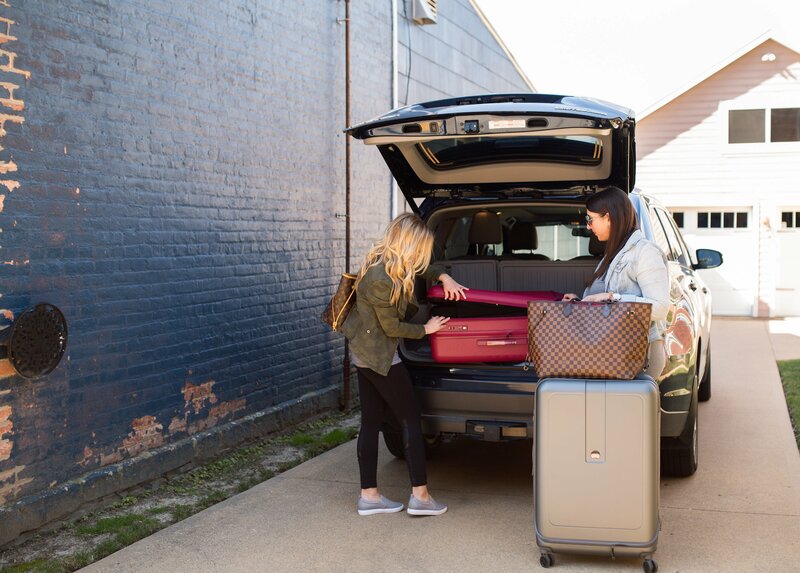 If you’re in search of a new piece of luggage we HIGHLY recommend giving DELSEY a try. We can promise you won’t be disappointed! 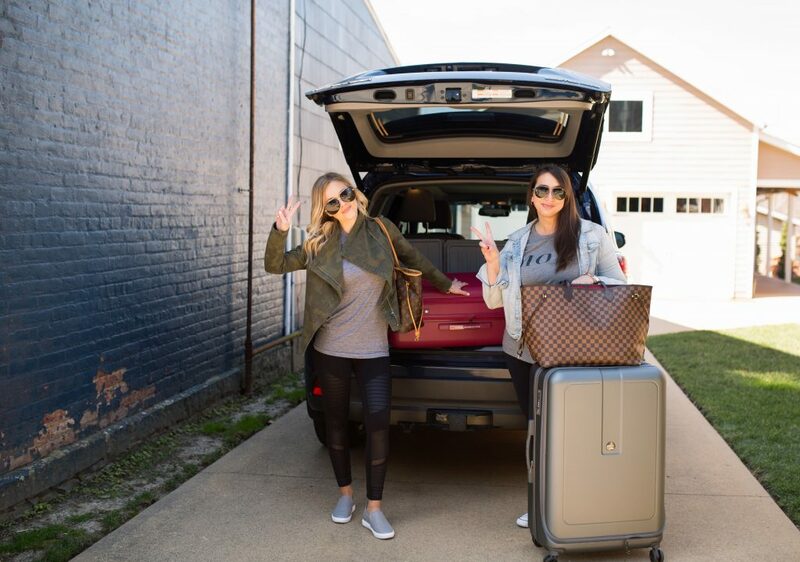 Shop our looks, and our luggage, below!